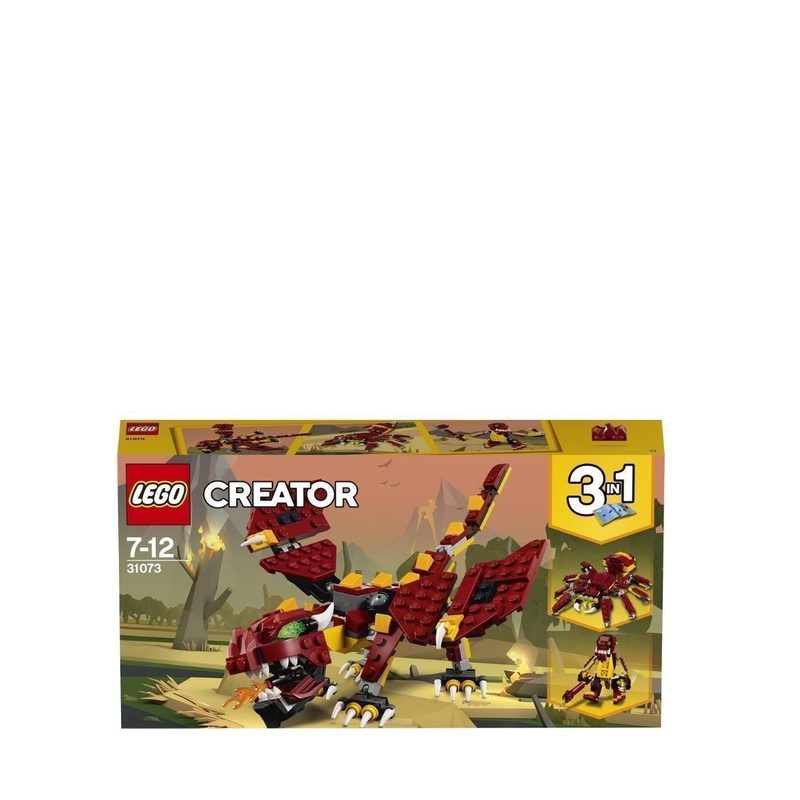 - The 3-in-1 Mythical Creatures set features a rebuildable, fire-breathing Dragon with fangs, green eyes and pointed claws, plus posable jaws, head, tail and wings. 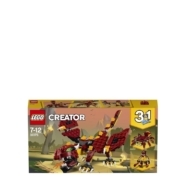 - Features a fiery dark-red and yellow color scheme. - Open the Dragon’s fiery jaws to reveal its sharp fangs and then whip its tail, fold out its wings and take to the skies. 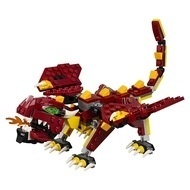 - Move the Dragon's head, legs, tail and wings to create exciting poses. - Continue the adventure with this 3-in-1 model. Rebuild the Dragon to create a scary Spider with big pincers and creepy legs, or a menacing Troll with an axe that doubles as a heavy-metal guitar. - Dragon measures over 3” (8cm) high, 10” (27cm) long and 6” (17cm) wide..
- Giant Spider measures over 1” (4cm) high, 7” (18cm) long and 6” (17cm) wide. - Troll stands over 5” (13cm) tall.